A solo-vehicle crash occurred near a school in Lancaster recently, leaving a mother and her two daughters hospitalized. Police suspect that alcohol may have been involved. The suspected drunk driving accident occurred just as police are gearing up for the St. Patrick’s Day holiday weekend, notorious for the uptick in partying and driving under the influence. 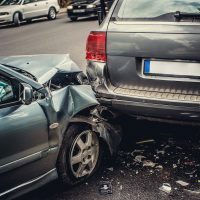 Continue reading for details about the accident, and contact a skilled California car accident attorney with any questions about possible personal injury claims. A 31-year-old mother had just picked up her two children from a school in Lancaster at around 5:55 p.m. on a recent Tuesday when she slammed into a pole in the 3100 block of East Avenue I, near Gifford C. Cole Middle School. The crash took place just outside an Eastside Union School District Building. The mother and her two daughters, aged 6 and 12, were all injured in the accident and taken to local hospitals. The six-year-old suffered the most serious injuries and was left in critical condition following the accident. The mother and her 12-year-old daughter were in stable condition but remained hospitalized as of the next day following the crash. Reports indicate that the mother was speeding through the parking lot before the accident and that she may have been under the influence of alcohol at the time of the accident. Although the Lancaster Sheriff’s Office stated that the mother appeared drunk, she was not arrested immediately after the crash. The suspected alcohol-related incident served as a reminder of the upcoming holiday weekend. Law enforcement agencies around the state, including the LAPD in particular, beefed up DUI checkpoints and “DUI saturation patrols” around the county in preparation for the looming party weekend. St. Patrick’s Day was on Sunday, March 17, and officers were on the lookout for drunk and drugged driving all weekend. The LAPD stated that St Patrick’s Day is a holiday associated in particular with overindulgence in alcohol, which leads to intoxicated driving. The CHP and the LA County Sheriff’s Department both increased patrols throughout the weekend as well. Law enforcement officials are also reminding California motorists that DUI includes more than just alcohol; drivers under the influence of marijuana or other drugs are also subject to arrest, and if they cause an accident, they are open to criminal and civil liability for anyone they injure. Officials recommend either having a designated sober driver or taking advantage of taxis or rideshare services like Uber or Lyft. If you have been hurt in an Antelope Valley drunk driving accident, talk to a seasoned and dedicated Lancaster personal injury attorney about pursuing a claim for damages by calling the Kistler Law Firm at 661-206-6990.